Operator: Good day, ladies and gentlemen. 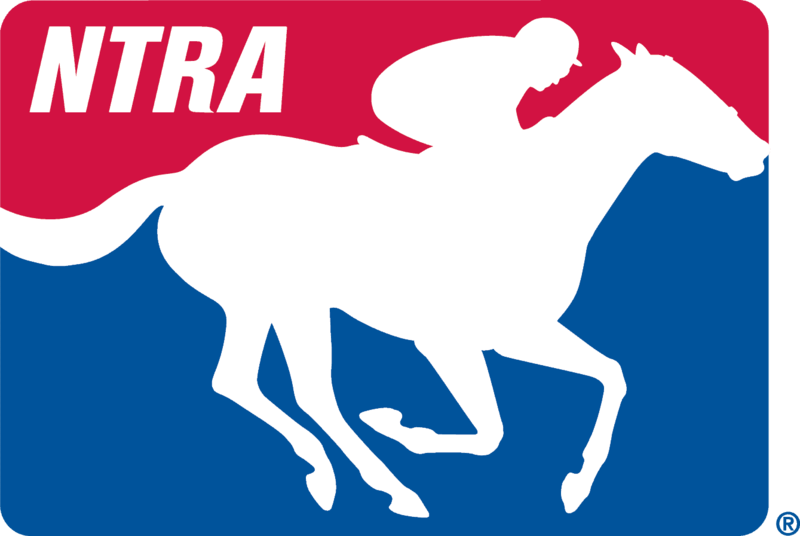 Welcome to the NTRA 2015 Countdown to the Breeders’ Cup World Championships Conference Call. It is now my pleasure to introduce your host, Mr. Jim Mulvihill. Please go ahead, sir. Jim Mulvihill: Thank you very much Michelle and welcome everybody to this week’s teleconference. This week we’re focused entirely on Saturday’s historic day of racing at Saratoga with six Grade 1 stakes topped, of course, by the $1.6 million Travers. All eyes will be on the Triple Crown winner, American Pharoah, and we’re delighted now to be joined by his trainer Bob Baffert. Bob, are you with us? Jim Mulvihill: All right. It’s Jim Mulvihill in Lexington. Thanks for joining us once again. Now just to set the stage a little bit, you and Mr. Zayat have both talked extensively about the legacy of American Pharoah. Can you just tell us a little bit about what the Travers offers that none of the other races could have in terms of prestige and enhancing his place in history and such? Bob Baffert: I think a lot of it is just the horse is really doing well and we just wanted to let the horse just, you know, tip us off. We’re just following the way he’s feeling and so it looks like he’s worked really well. If he worked well then we’d run him in it, and the Zayats—you know, since he got in the business The Travers has always been a major race to run in and to win, so we thought as long as we give him, Pharoah, his best opportunity to be doing on top of his game, doing well, then we’d give him a run at it. Jim Mulvihill: Very good, Bob. Well, we’ve got a lot of media on the call so I’m going to send it to Michelle for their questions. Operator: Our first question comes from Don Jensen of the Tampa Bay Times. Please go ahead. Don Jensen: Yes, Bob, good luck Saturday. I’d like to go back to Pharoah’s first race. What were your feelings about him going into the race and did you think he would take you on such a wonderful tour like he has been? Bob Baffert: Well, we had high expectations for him, but he’d worked with blinkers and I remember the first time and he wasn’t really comfortable. He used to be a little—he’d try to run off a little bit, was a little bit out of control and wasn’t really the perfect—he just wasn’t really quite as relaxed as he is now, but I think that first race going in we thought he’d run well but I was worried about the way he acted in the paddock; I didn’t like the way he acted in the paddock. He was overly tough to control. He was just tough and all the way going to gate with the pony he was trying to get away from the pony, then he got in the gate and he was acting up in the gate. He was just not a—I think a lot of it was he had the blinkers on and he wanted to be able to see. Then we put the ear plugs in him after that and he relaxed, he was perfect. That one day, he was just a problem child that day and he just used himself up going to the gate and in the race he just flattened out, but that really—he came back and worked wonderful and that’s why we decided to run him in the Futurity because he’d worked—you know, after that he was just perfect from that day on. Don Jensen: Did you think, Bob, that he would give you such a wonderful summer? Bob Baffert: Well, I mean he was pretty disappointing after that first race. I thought, well, even if he was a great horse he’d still overcome all that and still come running, but the race was won by a horse that really freaked that day. Om ran really, really fast, and if he would have run as fast as he did and beat him it might have cooked him pretty well. In the long run, it was probably better that he just didn’t run his race that day. Don Jensen: All right. Well, good luck to you Saturday, Bob. Operator: Thank you. The next question comes from Ron Flatter of RSN Australia. Please go ahead. Ron Flatter: Hi Bob. We know three-year-olds grow, certainly from their two-year-old season. When you look at Pharoah, where do you see his most remarkable physical growth and what you would really say, okay, this horse, this is where he has grown? Bob Baffert: Yes, he’s actually—he was always a little on the short—he had a short back—and about February, March I could tell he was changing. He started lengthening out and he got longer and longer and just maturing. You know, the older they get they start maturing, and I can still see it. He’s still maturing. He’s about 16.2; he’s not a little horse, but he’s got a beautiful neck, shoulder, hip. Just a really—I mean really, he looks the part. I’ve seen horses that are really, really good horses that are built a little bit funny or whatever but they can still run, but he is a picture. Ron Flatter: With the new shoes you just put on him, is there any difference from the old shoes? Do you still have that—I guess you could call it like a shock absorber in the left front frog. Bob Baffert: Well it’s not a—it’s just a plate, just a protective plate that protects the frog on his left front foot. I’ve left that on him. He’s had it on there for such a long time that I didn’t want to change anything up. Actually, very rarely you’ll see horses run with that but he handles it really well and it doesn’t change his stride or anything. If I thought it did I would take it off. Ron Flatter: Thank you, Bob. Good luck. Operator: Thank you. The next question comes from Tom Pedulla of America’s Best Racing. Tom Pedulla: Yes, Bob. I wanted to ask you about all the shipping that Pharoah has needed to do. I mean I understand why it took place but has it ever shown an effect on him and could you discuss why it was necessary? Bob Baffert: Well it was necessary because I was in California when he first shipped to Arkansas. I didn’t want to leave him there so I brought him back. Then we trained him, took him back. Then we shipped him to Kentucky. He had to go there, and then he shipped back and forth to all these tracks. That’s what makes this horse so different, and that’s why, you know, it’s been 37 years. It’s that most horses can give you a great performance but he’s the only horse I’ve ever had that’s given me just six great performances right in a row and he’s shipping back and forth. I mean, the mileage, it’s unheard of for a racehorse. The closest horse I had like that was Point Given. He could ship and ship and ship and it didn’t—he was tough. He could handle it, and this horse is really tough and he can handle it. So, it’s not ideal to do that. I’d like to have more time in between but we haven’t had the—you know, during the Triple Crown we had to get him ready. We had to give him those prep races so we really didn’t have a choice. Now, you know, he’s winding down his three-year-old career and he’ll be leaving so as long as he’s showing that he still has his game, he’s still ratcheted up and his shipping is not bothering him, the racing is not bothering him, you’re watching him run. Mr. Zayat always has told me the minute you see that starting to get to him a little bit then we’ll have to think our situation out, but until then, as long as he’s happy and he wants to run, he loves to train, as long as he’s showing us that he loves what he’s doing he’ll keep running. Tom Pedulla: Bob, in keeping bringing him back to, say Del Mar, or wherever your home base was, what’s the overriding factor there? Just the idea that you can eyeball him every day? Is that the essential part of that? Bob Baffert: Well we’re here in Del Mar. Our base is here and I’m set up here and it’s cooler here. We’re not dealing with any rain and so the horses are really relaxed down here and it has the chilliness—I mean Saratoga is that way also, so. But we’re sort of set up here and I didn’t want to take him up there and be there. If I went up there I know I would have been forced to run up there, so I just wanted the horse to sort of—I didn’t want any outside pressure. I just wanted the horse to let us know that, hey, I’m ready. I’m ready. Tom Pedulla: Thank you very much. Operator: Thank you. The next question comes from Tim Wilkin, the Albany Times Union. Tim Wilkin: Hey Bob, you were talking about trying to find an excuse not to run and you couldn’t find one. Was there a part in the back of your mind that didn’t want to come to Saratoga before he showed you he was ready? Bob Baffert: No, I said that because I was getting that question asked 100 times a day and everybody wants to be the first one so they can tweet it out. I was just letting people know, look, if I see something, you know, this horse doesn’t owe us anything, but if I see something that is just not—there’s something about the work that I don’t feel that or something—I just didn’t want to say yes, we’re going to come and then let people down. I didn’t want people spending their summer savings to go up there to watch him run and he wouldn’t be able to show up. So I wanted to make sure that that horse was—I didn’t want to just throw it out there. You know, there’s a lot of great fans up there in New York and I don’t want them to spend their hard earned money if the horse isn’t going to be there, so I just wanted to make sure. Tim Wilkin: What kind of reception do you think this horse will get at Saratoga? Bob Baffert: Well, he got a pretty strong reception when he went to Monmouth Park. I’m sure it’s going to be pretty strong because he’s done most of his racing on the East coast. I think a lot of people, they want their kids to see this horse. It means a lot to them. You know, with the history involved and winning the Triple Crown, he can still—the noise factor at Monmouth Park was incredible. It was just as loud as Del Mar. I never thought I’d hear that again. I think it’s really—you know, he’s a unique horse that he can ship like he can. Even my wife keeps asking me because I’m always telling her they can only ship so many times and then finally it catches up to them. So far we’re looking good, and I think the fans, they want to get—I notice that when we bring him up he gets really quiet because everybody has their phones out, videotaping him, which is good because we don’t want them too loud but I think it’s really—I mean for racing he’s really—racing needed some good news and he was the good news. So hopefully he’ll continue it. It’s like the Pharoah tour. Unfortunately he’s not going to be around as a four-year-old so we’re just enjoying him all we can, just like—I remember when Zenyatta was running. I made sure that I took Bode to see all their races so he would know that so when he gets older he can say he saw a great mare run. He was here. We saw Beholder run the other day. I mean that was—what a great performance she had. So little things like that, I think for your children, you were there and you saw it. Just like I was there when Kirk Gibson hit the home run for the Dodgers in the World Series. I was there. I’ll always remember that. I think in sports it’s very important if we’re involved in sports, everybody wants to see something special, a home run record or whatever. We all want to be able to say that we witnessed it. Tim Wilkin: Okay. Thanks Bob. Operator: Thank you. The next question comes from David Grening of Daily Racing Form. Please go ahead. David Grening: Hey Bob, just your opinion on Texas Red. Last year when you ran him in the Frontrunner Stakes and to now and how formidable a foe he might be on Saturday. Bob Baffert: I think he’s a very nice horse. I mean he won the Breeders’ Cup. He looked very impressive. I think they’ve done a great job getting him back. He’s going to be tough. He’s always tough and so—you know, it’s not an easy race. We’ve got Frosted in there. There’s other horses. There’s always young shooters coming up and so we’re prepared. I go in there prepared for a tough race and so the Travers, it’s not going to be easy. It’s going to be an exciting race. David Grening: What do you recall about the Frontrunner, if anything? I know you had a pretty easy lead in that race but is there anything about that race that you recall? Bob Baffert: I know that the horse that ran second, Calculator, he was up-and-coming and he ran second to him twice and then unfortunately he got injured. I mean the Pharoah there, that’s when he was showing us that he was such a dominant horse that day and that’s why when he got injured for the Breeders’ Cup it was a devastating blow to us. David Grening: Thanks. Good luck. See you soon. Operator: Thank you. The next question comes from Art Wilson, the Los Angeles Newspaper Group. Please go ahead. Art Wilson: You won the 2001 Travers with Point Given and no winner of the race has run a faster Travers since. Can you just kind of compare as far as personality-wise, similarities, differences in their makeup between Point Given and Pharoah? Bob Baffert: Point Given, he was a big, sort of a big slab-sided horse, you know. When he was on the track and he’d pull his little stunts, he liked to rear up like the day before and do things like that, but around the barn he was pretty quiet. But the thing that makes Pharoah so special is that he’s got a great personality. He loves people. He likes attention. You know, you couldn’t spoil Point Given. You couldn’t get in there—you couldn’t bring an infant up to the stall and let him nuzzle where Pharoah will nuzzle an infant. He won’t bite it. He’s just very—he has a very kind, sweet temperament, but when he gets on the track he’s just wants to take over. They’re two different kinds of horses but they are two great horses. I mean Point Given, what he did is to travel back and forth and then he could put in a big race and come back and put in another big race. The Derby is still—we’re still amazed that he got beaten at the Derby. Art Wilson: Right. You mentioned that Pharoah has just turned in one powerful effort after another. Any of those six or seven wins that he’s turned in, any of them stick out as the most powerful, or do you kind of just—are they all similarly powerful? Bob Baffert: I think they’ve all been pretty powerful. I mean he had a powerful gate work before I ran him in Arkansas that really—that’s when he really stamped himself as like—he wowed me one morning. He turned in a ridiculous work and then his races in Arkansas were really powerful and then the Arkansas Derby. His Kentucky Derby, he lost a little bit—he got a little hostile in the paddock but he still gutted it out but he wasn’t really that tired. I think he really needed the race and after that it really tightened him up and I didn’t have to do much with him after that. But, you know, he was going :22 early in the Preakness and he just kept on going. All his races basically have been pretty powerful, I think. Art Wilson: All right. Okay. Best of luck Saturday, Bob. Operator: Our next question comes from Jennie Rees, the Louisville Courier-Journal. Please go ahead. Jennie Rees: Hey Bob, following up on Tim’s question, right after the Belmont you didn’t discount anything but you also said how tough the Haskell-Travers parlay is for a horse and that you really probably needed to go in the Jim Dandy if you’re going to win the Travers. Now that you’re going to the Travers, any second thoughts and could you just sort of put it in the perspective of those comments? Bob Baffert: Well I really think it is. I think you’re better off running the Jim Dandy coming back. I think Del Mar is sort of the same way; you should run both. If he was just a different kind of horse I would do that but with a horse like Pharoah I think you can get away with it, when you have a horse like Point Given or a Pharoah. They’re extremely talented, and hopefully you can get away with it. I mean the toughest that probably that’s really gotten to him is when after the Belmont we were showing everybody for a couple of weeks there and that wore him out a little bit. Once I got him back home that’s probably been the toughest on him. Jennie Rees: You also said after the Belmont when you were back at Churchill you were looking at two preps before the Breeders’ Cup. Does this kind of complicate the timing of that? Are you going to look at sneaking in another race? Bob Baffert: Well I think the timing for the Breeders’ Cup, preferably, would have been the Haskell and Parx. It gives you that extra time, but Ahmed and told me and Justin, he says, hey, if he tells you it’s okay to go there I’ll make it, because they would love to run in that race. So right now we’re just—as long as he’s doing well we’ll run him there and so we’ll see what happens. Jennie Rees: They didn’t have to talk you into it? Bob Baffert: No. No, they just left it up to me. Basically he’s been really good. He said, no, if he’s not 100%, don’t run him. We can wait. Jennie Rees: Okay. Thanks Bob. Tom Pedulla: Yeah, Bob, just one more question if you would about the shipping. When he gets off the plane and arrives at a new setting, can you tell it’s taken a little something from him, or does he still have that bounce to his step? Bob Baffert: Well, I mean, he’s pretty used to shipping. So far it hasn’t affected him. But he ships really well. I mean Smokey probably doesn’t ship as well as he does. Smokey has more trouble shipping than he does. Tom Pedulla: Okay. Has shipping gotten easier over the years, Bob? Is just the way that’s handled better than it used to be? Bob Baffert: It’s always been the same. We have a routine the way we ship horses and we’ve had a lot of success shipping horses in to races and we really—we just follow our own little way we do things. The only time I’ve had a problem was I shipped a filly to Keeneland earlier in the year and when she got off the plane, she got upset in the van and she got down in the van and she got a little scraped up. Things like that might happen, so little things can go wrong. But with Pharoah, I mean, if I shipped him and then we didn’t like something then we wouldn’t run him, but so far it’s been really good. Tom Pedulla: Thank you again. Operator: Thank you. The next question comes from Kellie Reilly from Brisnet.com. Please go ahead. Kellie Reilly: Hi. I just wanted to ask about the meeting with Gai Waterhouse and what it was like to show Pharoah off to such a legend of Australian racing? Bob Baffert: Oh, she was a character. She’s got a great personality and she’s just so much energy, and it was really—actually, I’d seen them at dinner the night before, ran into her and she was just—I mean I wish I had that much energy. So, we had a nice talk and I showed her Pharoah and she looked at him and it’s great when you see different American-style type of horses and she loved him. She saw the way he was built and we went over his conformation and she was looking at him. It was really nice. We didn’t talk training techniques or anything like that but she was just really excited to see him. I brought him out, watched him walk. She just loves the way he walks. His walk is—he’s got a tremendous walk and so I was showing her. That’s probably his thing is his stride is really, you know, really what gets it done. He just covers so much ground when he’s running. That’s why it looks so effortless. Kellie Reilly: Absolutely. Well, thanks so much and best of luck. Operator: Thank you. The next question comes from Karen Johnson, the Blood-Horse. Please go ahead. Karen Johnson: Hi Bob. Do horses have a certain tell and are easier to read than others, and how does American Pharoah fit in that? Is he easy to read and are other horses more difficult? Bob Baffert: Well sometimes he can be hard to read if he has his—he’s a different horse when he has his earplugs in. Without the earplugs he’s happy, he’ll be jumping—he would come into the paddock springing and jumping. You put the earplugs into him and he’s quiet, he’s focused. So if you see him in the paddock he’s just really serious, quiet. You won’t see him jumping around or doing anything, so you have to really know that with those earplugs in how focused it keeps him. But we’ll know watching him gallop and the way he struts around. He’s a pretty proud horse. Karen Johnson: Thanks Bob. Good luck. Operator: Thank you. The next question comes from David Grening, the Daily Racing Form. Please go ahead. David Grening: Bob, I was wondering does the surface at Saratoga present any more challenges than say the other five tracks that he’s shipped to so far this year? Bob Baffert: The challenges? I don’t know. I mean that’s why we’re going there. I mean they’re all a challenge everywhere you go. I think that every race is—I mean Saratoga, you know, he’s used to the big crowd. It’s a different—he has to go through a lot of people there to get to the paddock, so, you know, how he handles that. I mean being that he’s—it’s pretty incredible. I feel like I’m bringing The Beatles to town, you know? He’s learned to handle it pretty well. He’s a really intelligent horse so hopefully we’ll handle the paddock well and the race well. Our main concern is to give him every opportunity to—he looks good, he looks healthy, he’s fit, he’s ready and so we just need some racing luck. David Grening: Yeah, I think I meant more just the surface, if there’s anything from either talking to people here or your observations from how the track has played gives you any—if you’re happy or concerned about it? Bob Baffert: You know what? He actually prefers a deeper, soft surface. He doesn’t like a hard, hard surface. So that’s why he’s handled those Eastern tracks really well. Ron Flatter: Bob, I know Pharoah’s defied a lot of statistics already this year but Victor hasn’t raced at Saratoga in 12 years and he’s only got four rides I think on the track. What do you suspect he will do or what does he need to do just to get ready for this race? Bob Baffert: Oh, I mean, the same thing was said about him running in the Belmont. Whatever. I mean, the quarter pole is still set up in the same place, so it really doesn’t matter. As long as the horse is running, he’ll know. If the horse is running, he’ll be comfortable. If he’s not running then he’ll know if he’s empty. Ron Flatter: Very good. Thanks Bob. Operator: Thank you. There are no further questions at this time. Please continue. Jim Mulvihill: All right. Bob, thank you so much for joining us again on this call. We really appreciate the time and we wish you luck on Saturday. We look forward to seeing you up at the Spa. Bob Baffert: And it’s raining at Del Mar. I can’t believe it. It just started raining. Jim Mulvihill: Perfect time to go to Saratoga then. Bob Baffert: Exactly. All right. No beach day today. Jim Mulvihill: All right. Thanks Bob. Bob Baffert: Bye guys. Thanks. Jim Mulvihill: All right. Bob Baffert, making a record-setting fifth appearance this year on an NTRA teleconference and talking of course about American Pharoah who is trying to become only the second Triple Crown winner to annex the Midsummer Derby on top of the Triple Crown. He would join the great Whirlaway who did it in 1941. Now on to our next guest on this call and that is Hall of Fame jockey Gary Stevens. Gary was onboard for one of the most impressive wins that any of us will ever see, last weekend when Beholder won the Pacific Classic by 8-1/4 lengths. Gary was named the Jockey Talk 360 Jockey of the Week for sweeping consecutive Del Mar features between that win and then Sunday’s Del Mar Mile on Avanzare. This Saturday he rides the Preakness runner up Tale of Verve in the Travers and it’s also worth noting that nobody has come closer to beating American Pharoah this year than Gary did aboard Firing Line in the Kentucky Derby. So now let’s check in with Gary Stevens. Gary, are you with us? Gary Stevens: Good morning. Yes, I am. Jim Mulvihill: Welcome to our call. We really appreciate the time. Congratulations on both your stakes wins last weekend, a pretty great couple of days for you. Gary Stevens: Yeah, it was an awesome weekend by two spectacular horses. Just a lot of fun and I’m looking forward to this coming weekend. Jim Mulvihill: Excellent. Well, let’s talk about the Travers a little bit. You’ve won it twice. Both times those were on eventual three-year-old champions, Thunder Gulch and Point Given. Just help us to set the stage a little bit. Tell us what does the Travers mean in terms of history and establishing future stallions and all that? Gary Stevens: Well, I mean, I think everybody listening knows the prestige involved. It’s the Midsummer Derby, or not even the Midsummer, the end of summer derby, and I think carries as much weight as the Kentucky Derby. You know, there’s been some great horses win it, there’s been some great horses get beat in it. But I’m not going to paint any rose-colored glasses here. I try and wear the right kind of glasses and we’re going against the sure-fire three-year-old champion with American Pharoah and I saw his workout up close the other morning because he blew by me right at the finish line and it was a spectacular work. But it’s like with Beholder, there’s pressure and you’ve got to go out and do it, and a horse race is a horse race and there’s some good three-year-olds in there that have matured. Frosted had a great workout the other day and I’m looking forward to getting back on Tale of Verve. He ran a great race in the Preakness. The Belmont, he got a lot of sand in his throat and stuff and he had a big excuse. Ssmething’s going to have to go wrong probably for American Pharoah not to show up from what I saw the other day, but they’ve still got to run the race and I’m riding a very nice three-year-old. He’s bred to go the mile and a quarter. We know he can get the distance, so I’m looking forward to getting back there. It’s going to be a great day; not only the Travers but the whole undercard with the King’s Bishop and all the races. It’s going to be a fun day. Jim Mulvihill: Absolutely. Well, thanks Gary. I’m going to turn it over to Michelle and she’s going to check with the media on the call to see what they’ve got for you. Gary Stevens: All right. Thanks. Operator: Thank you. We’ll take our first question from Jennie Rees, the Louisville Courier-Journal. Please go ahead. Jennie Rees: Yes. Gary, when you were riding Firing Line before the Derby, you said that you had a game plan. You had it in your mind a way that you thought you could beat him. Do you have a plan like with Tale of Verve, or with his running style is it just, you know, you just pretty much have to hope there’s a fast pace and he comes running and he’s gets through the mile and a quarter faster than anybody else? Gary Stevens: Yeah, he’s going to come running. I know that. But will it be enough to get past the likes of American Pharoah? I don’t know. He’s kind of a one-dimensional runner. He drops back and he makes that run. Hopefully he doesn’t drop back as far, but I can’t push him to lay closer if it’s not in his will because that’s going to take away from his run. So, it makes my job pretty simple and I’ll know what I’m feeling early on and throughout the race of when it’s time to make my move, but it’s going to be more up to him. The pressure is on him, on Tale of Verve, and hopefully, you know, from what I’ve heard that he’s training well at Saratoga. He looks great. I’ve got my spy. My son is back there so he’s been keeping me informed and he said he looks great and getting over the track well. So, I’m just hoping that, you know, we have some luck and I don’t have any traffic delays or anything during the race and we’ll come running. Jennie Rees: Bob Baffert said after the Belmont how difficult it is to do the parlay of the Haskell and the Travers; you rode the last horse to win both. How tough is that on a horse? Maybe extrapolate that to what American Pharoah is trying to do with yet another cross-country ship? Gary Stevens: I think it’s the travel more than anything and whereas Point Given, you know, we hadn’t expected to go—we didn’t know we were going to the Haskell until two weeks out. He was preparing him strictly for the Travers, so we didn’t have a fit horse going into the Haskell and I think that Bob and I both felt more pressure going into the Haskell than we did the Travers because the Haskell actually prepared him, it gave him the workout that he needed, to prepare him for the Travers and the spacing was right. We had four weeks and everything and that was the part of the plan where I don’t know if Bob really wanted to do this ship across country again. I know he’s taking this a race at a time but looking forward to the Breeders’ Cup he’s got to take that into consideration also of what he’s going to do after the Travers. Will he ship back to California? Will he go to there? So Bob’s got a lot of things on his plate with this horse right now and it’s not your typical horse. He’s a Triple Crown winner that they don’t want to get beat and I can fully understand that because I’m a fan of his as well. Jennie Rees: Would you like to meet him with Beholder? Perhaps in the Breeders’ Cup Classic? Would you just like to see the two of those hook up in a race? Gary Stevens: As a fan, absolutely. It would be the greatest thing for horse racing that we’ve seen probably since the great match race with War Admiral and Seabiscuit, but as her pilot I know they’re going to make each other do things that they’ve never done before if it does happen and there’s only going to be one winner, and it’s going to change them. If they do match up and whoever gets beat, I think it would be a shame. Neither one of them deserves to lose. I’m not part of that decision and as a race fan I’d love to see it but being her pilot I don’t want her to get beat and as a fan of American Pharoah I don’t want him to get beat either. But I would love it if it happens, but if he’s going to make her run and she’s going to make him run if it does happen, faster than they’ve ever run before. Jennie Rees: Thanks, Gary. Appreciate it. Operator: Thank you. The next question comes from Ron Flatter, RSN Australia. Please go ahead. Ron Flatter: Gary, you said you don’t have any input on the decision on which Breeders’ Cup race Beholder will go into, but have you heard anything from Mr. Hughes or from Richard about where they’re leaning? Gary Stevens: No. Right now she’s just enjoying her—I went and sat with Richard yesterday, watched her walk the shed row and she was just having a nice peaceful day. She was kind of full of life at the barn and he said that he may run in the Zenyatta but he’d say—I don’t even want to think about that decision right now. She’s going to tell him and I’ll have some more tests on her and stuff and I’m going to have an idea of where she’s at and what she’s doing. We have those conversations but, Richard, he knows this filly like the back of his hand and I’ve never seen him so confident going into a race like the Pacific Classic the other day. She’ll let him know what the right thing to do is. Ron Flatter: I guess the rap we’ve heard on her is that she doesn’t travel well. I know you rode once—didn’t you ride her at Belmont Park? I mean what’s the deal? Gary Stevens: Yeah, that can’t fairly be said. She didn’t travel well to Churchill Downs when she was a three-year-old, in that kind of atmosphere at that time. She’s a changed mare now. She’s not the same as she was as a three-year-old, and in the Ogden Phipps last year she had trained unbelievable leading up to the Phipps last year. I’d come in and work her. She worked great over the track. She schooled well. Richard, he schools her a lot in the paddock, spends a lot of time and I can’t blame her defeat on the travel. I can blame the defeat on here getting severely injured and she’s lucky that she came back from the injury. She got an infection from it and everything and it was deep. It was a deep laceration. So I can’t blame the ship. She warmed up unbelievable that day. She behaved herself. I’m not worried about the ship at all. She is a different mare, but he didn’t want to do it twice. They talked about getting her back there for the race in Saratoga and the only reason he didn’t send her back there and kept her here for the Classic was he didn’t want to do the double ship with her. So, he knows that we’ve got to ship and he’s prepared for it and he’s already got a plan, so I’m not real worried about that. Ron Flatter: Finally one on this race: if there were an ideal pace that would pop up on the clock or even ideal condition for the track or a combination of those to give Tale of Verve a chance, what would they be? Gary Stevens: Well I need a scenario exactly like I got on Saturday in the Pacific Classic with Bayern and Midnight Storm hooking up and setting kind of suicidal fractions and if something like that was to happen, then yeah, you’ve got to give me a shot to pick up the broken pieces. But the similarities between American Pharoah and Beholder are very—they’re like a mirror image because he—if the pace is fast, we’ve seen Victor be able to sit off the pace like he did in the Kentucky Derby and he had to be chomping at the bit down the backside, you know, with the fractions, they were realistic, but any time that there’s a duel going on no matter what the fractions are, it takes something out of the horse, but he’s so adaptable you really don’t see that happening. So, I would love it if it did, being the passenger of Tale of Verve, that’s what I need. Ron Flatter: Thanks, Gary. Safe travel. Operator: Thank you. The next question comes from Will Springstead of Glens Falls Post Star. Please go ahead. Will Springstead: Thank you. Gary, you mentioned with his running style, you said you can’t push him too much. Given that, how important will be watching the races leading up to the Travers and seeing how the track reads that day? Gary Stevens: Very important but we all know Saratoga can—the race track there can change dramatically throughout the day, so it’s going to be very important for me. I know I’m riding a couple of other races that day so I’ll be able to get a good feel for the racetrack and how it’s playing, but I’m going to be observing all day long, you know, what biases there may be. But again, the bottom line, no matter what kind of horse I’m on, whether they’re a deep closer or not, I need a good break at the start. In the Belmont I had an extremely good start. The horse, he’s very athletic and so I just need to get into the first turn and get him situated and get him comfortable and in a nice rhythm. In the Belmont there was no pace and I had moved out, believe it or not, at the mile pole just as we turned into the backside. I said to heck with this, they’re walking up there, and I moved out and he picked up for me and all of a sudden the pace increased and I was left out in no-man’s land and that was sort of his run with all the dirt that he took and everything. So, I’m not going to make that mistake with him this time. I’m not blaming myself but I got to know him quite a bit at the Belmont, even with his performance that was turned it was a good learning experience for me. So he’s a one-run type and that one run needs to come from the 3/8ths pole home. Operator: Thank you. The next question comes from Tim Wilkin, the Albany Times Union. Please go ahead. Tim Wilkin: Hey, Gary. At the Kentucky Derby, when you were on Firing Line, you probably came the closest to beating Pharoah. Do you have something in the back of your mind that you could share with us how to beat American Pharoah? [Laughter]. I thought I had him in the Derby and my horse battled back gamely, but I’ve seen American Pharoah improve from the Kentucky Derby. I think the Derby made him even a better horse. You know, they either move forward or a race like that kills them and he moved forward off the Kentucky Derby. What we saw him do in the Haskell, I mean he’s going to be facing a much better field in the Travers than what he did in the Haskell, but he put on a show that day and he’s a horse that may very well still be improving. But I saw Frosted had a great workout the other day and people are—you know, they’re not just coming to try and run second. It’s a horse race so you’ve got to lead them over there and they can change from day to day, but from what I saw in American Pharoah’s workout the other day, there’s every chance that he has improved again. Tim Wilkin: If that happens, can he be beat? Gary Stevens: If that happens nobody’s going to beat him, from what I can see, I mean in this particular race and again, we talked about—I wouldn’t be afraid at all—I was with Bob this morning prior to him coming on for the interview and everything, but I wouldn’t be afraid to tackle him with Beholder by any means, but whether that’ll happen or not I don’t know. If he brings his A game, he’s not going to get beat. The only thing that’s going to beat him is traffic or something unforeseeable and that’s why you’ve got to lead them over there and give them their chance. Operator: Thank you. The next question comes from Tom Pedulla of America’s Best Racing. Please go ahead. Tom Pedulla: Gary, you talk about what might be able to beat Pharoah, and I guess I’m just wondering, he’s had to do so much shipping, at some point do you think that that will show itself and possibly that it’ll be in the Travers? Gary Stevens: I mean, yeah, I think that would be Bob’s biggest worry and he had to show him that he was on his A game, but he’s a pro at traveling. I don’t—you always wonder if something’s going to happen but they’re no different than we are. As humans, I get used to traveling and you know what you’re going to go through, you know the routine and these guys have shipped so many horses across country and they know the routine, and the horse knows the routine. I think one thing he has in common with Beholder is his intelligence level. He knows he’s going—he already knows that he’s racing this next weekend from the routine and he probably knows he’s getting on an airplane again and probably pumped up about it. So, you know, it takes a special horse to be able to do it but he obviously is a special horse. Tom Pedulla: Okay. Thank you. Art Wilson: Yeah, Gary, you were part of that remarkable journey in 2001 with Point Given’s Horse of the Year run, and Bob was remarking earlier in the call how they’re still kind of mystified how Point Given didn’t win the Derby. Looking back on that, in your mind, what happened that day? Gary Stevens: Well, it was pace. Pace killed him but there were other factors because—why he showed the pace he did and I won’t get into that. He was not the same horse on Derby day as he was in the Santa Anita Derby or the Preakness or the Belmont or the Haskell or the Travers. It’s a race that is destiny and that day was not our day. That’s all I can say. But he’s involved in the fastest fractions in the history of the Kentucky Derby up to that point and I knew turning into the backside that I was in trouble. I could not contain his speed on that particular day and the racetrack was very firm and I’ll just leave it there, that it didn’t—the racetrack surface did not suit him that day. Art Wilson: Right. You mentioned the other day that Beholder is right at the top of the list of all the great horses you’ve ridden. Where does Point Given fit in? Gary Stevens: He’s right there. I mean what he did his three-year-old year, I’ve never had a three-year-old do that. He’s definitely the best three-year-old that I ever rode and his daddy, Thunder Gulch, rates right up there. He did some amazing things too. He was only three-quarters of a length shy of winning the Triple Crown himself and then came back to win the Swaps and also the Travers. He won the Travers as easy as Point Given did. So I’ve ridden some good three-year-olds but Point Given definitely is the best three-year-old that I ever rode. Art Wilson: Okay, thanks. Good luck this weekend. Jim Mulvihill: All right. Well, Gary, great stuff as always. We really appreciate the time and we’ll look forward to seeing you at Saratoga. Gary Stevens: Okay guys. Thank you. Look forward to it. Jim Mulvihill: Gary Stevens, he’s going to ride Tale of Verve, trying to beat the Triple Crown winner in the Travers on Saturday. We’ve got one more guest on this call and that is trainer Tony Dutrow. Tony, he’s another one who had a big day on Saturday. He won the Grade 1 Alabama with Embellish the Lace. This week, he’s got the popular sprinter, The Big Beast, in the Forego. That’s a “Win and You’re In” proposition for the Breeders’ Cup Sprint. The Big Beast, who’s appropriately named for his size, won the King’s Bishop last year against straight three-year-olds at Saratoga, and he was nosed out by Rock Fall in the Vanderbilt a few weeks ago. Tony Dutrow, you’re on with Jim Mulvihill at the NTRA Headquarters in Lexington. Thanks for joining us. Tony Dutrow: Yes, sir. Thanks for having me. Jim Mulvihill: It’s our pleasure. Talking about The Big Beast, the Vanderbilt was just an awesome race and a huge effort for him, especially coming off of a short layoff. Just tell us how he came back from the Vanderbilt and how you managed him so that he can run another big race four weeks later. Tony Dutrow: Well, I can tell you that he came out of the Vanderbilt in very, very good shape. We’re very happy with that. As far as getting him to run another big race like that, I can comment on our attempt but that’s as good as I can do. Jim Mulvihill: Well, that’s all we can ask for so that’s what we’d like to hear. Do you do anything different after a big effort like that, maybe back off a little bit? Tell us just what his routine has been the last few weeks and how you’ve prepped him for this? Tony Dutrow: It’s been pretty matter-of-fact. He did come out of the Vanderbilt very good and going forward he seems to snap into plenty of energy quickly and we’ve just been matter-of-fact with him, nothing special by any means. He’s had two workouts and both of them were very impressive and well within himself, so we’re really feeling good about The Big Beast. Jim Mulvihill: Very good. For the folks that are maybe writing previews or reporting on The Big Beast, can you tell us how big is he exactly? I mean in terms of hands or weight or even just the way he looks to you. Tony Dutrow: Yeah. He’s 18.2 and he’s very athletic, very, very athletic; the biggest horse I’ve ever seen that’s so athletic. I don’t know exactly what he weighs but he’s a big pretty horse and everybody loves him. Jim Mulvihill: Absolutely, and that’s, as you alluded to, an unusual combination to be that size and be so athletic. Is that what makes him so effective and special? Tony Dutrow: Yes, it really is. Yes, it really is. Jim Mulvihill: Very good. Well Tony, I’m going to check with the media and see what questions they have for you. Michelle, do you want to take it away? Operator: Thank you. Ladies and gentlemen, if you do have a question, please press star, one at this time. Our first question comes from Claire Novak of the Blood-Horse. Claire Novak: I have to admit I might have been on this call just because of The Big Beast; no offense to American Pharoah, but obviously he has a lot of fans. Talking about his size, has that been one of the reasons maybe that it’s been more difficult to keep him consistent? Is it because of his big size, or is it just particular little issues that you’ve had with him as a race horse? Tony Dutrow: Well, Claire, let me comment on that. Steve Hobby was the first to—most responsible, in my opinion, for a lot of The Big Beast’s success. Steve had him as a two-year-old and did not race him and didn’t race him until early in his three-year-old year. He gave him plenty of time to mature and I think that had a tremendous amount to do with why The Beast has stayed sound and had the opportunity to become a nice horse. Since he’s been under my care, the only setback I really had with him was some tender feet at times. He had an abscess and he missed the Belmont Spring Championship earlier this year, but other than that I haven’t had any setbacks with the horse. He’s always been a very sound horse and so his size is really—since Steve Hobby has taken his time with him, his size has never gotten in the way. Claire Novak: As far as this next race coming up, I mean last time out was such a tough beat and looked like he was going to get it, so what are your thoughts going forward, you know, potentially coming up against some of those same horses again? Tony Dutrow: Yeah, I’m looking forward to it. The Big Beast faced the best horses that he had ever faced in his career in his last race and I thought that was a very impressive effort. Unfortunate that we didn’t win the race but you have to look forward to him redeeming himself against another what I’m anticipating being a very good group of horses. Claire Novak: Last question. Just given his big size, is there anything different you have to do with him as far as tack or training or anything? I mean I assume it’s not that big of a deal because most tack doesn’t come according to height so you’re probably okay in that regard, but any adjustments you’ve had to make with having such a big horse? Tony Dutrow: Just we need to take our time with him and be patient because he is a big boy and he’ll balk at going into a stall. He’ll balk at going into the starting gate. He’ll balk at getting on a van, but he doesn’t really mean anything by it. He just wants to take his time and find his comfort zone and when he does he’s a perfect gentleman about it all. But I think that because of his size he wants to make sure that he can fit before he walks into it. Claire Novak: That makes sense. Well thanks so much. Continue taking good care of him. He has a lot of fans. Tony Dutrow: Thank you. He does. He’s the most popular horse I’ve ever trained. Operator: Thank you. Once again ladies and gentlemen, if you do have a question please press star, one at this time. The next question comes from Tim Wilkin, the Albany Times Union. Please go ahead. Tim Wilkin: Hey Tony, obviously the big focus on many people’s minds is American Pharoah and the Travers because it is such a huge day of racing at Saratoga. Can you comment on what your feelings are on such a big day at the Saratoga meet? Tony Dutrow: Well I think it’s wonderful. I think it’s wonderful that it is going to be such a big day with or without American Pharoah. There’s going to be some great racing that day and the fans will turn out and I think that’s fantastic. As far as that goes, it really won’t be any influence on myself because I’ve raced at Churchill in some of the Breeders’ Cups and the turnout out there is just astonishing, so it won’t be anything that I haven’t experienced before, and I’ve seen how well the horses do in those type of arenas, so I’m not anticipating that day being detrimental to the horses at all and I just am so thankful for the turnouts at Saratoga, the support of horse racing is going to be received by the fans. Tim Wilkin: How will The Big Beast be? How is he with big crowds, when you lead him over? Tony Dutrow: The Beast is going to be fine. He’s going to be fine. He’s a good boy. He’s going to be fine. There’s really no issues there with any of that. Tim Wilkin: He came out of the Vanderbilt in great shape. Tony Dutrow: He did. He did and I’ve been fooled before in my career but I do think that I’m every bit as happy with The Big Beast going into the Forego as I was going into the Vanderbilt, and I was very confident that The Big Beast went into the Vanderbilt as good as he possibly could. I didn’t know where he was going to finish but I thought he was going to run his best race and I think he’s got the same—I feel the same way about him now. I think he’s going to run another great race. Tim Wilkin: Great. Good luck this weekend. Tony Dutrow: Thank you so much. Operator: Thank you. The next question comes from Will Springstead of Glen Falls Post-Star. Please go ahead. Will Springstead: Tony, do you think 7 furlongs suits him better, or does it depend on who’s in the race and each individual race? Tony Dutrow: I don’t think that 6 or 7 makes a difference. I personally would rather see the horse run at 7 furlongs as opposed to 6. I think the race will be somewhat kinder on him than 6 furlongs, but I really don’t feel that either distance makes a difference. Will Springstead: Okay. Thank you. Jim Mulvihill: All right. Tony, we really appreciate the information today and wish you luck with The Big Beast on Saturday. Thanks for being here. Tony Dutrow: Great, and thank you for having me. Jim Mulvihill: You’ve got it. Tony Dutrow with some good information on The Big Beast who’s going to run 7/8ths in the Forego on Saturday. A few reminders before we go. The Travers will be on NBC Sports on Saturday and that’ll be supported by the Sword Dancer. That’s 4 to 6 pm Eastern Time. There are four Breeders’ Cup Challenge “Win and You’re In” races on that card at Saratoga. Those are the Sword Dancer, the Forego, the Ballerina and the Personal Ensign. Also broadcast-wise, our friends at the Horse Racing Radio Network will be live from Saratoga on Saturday, 3 to 6 pm, Eastern Time of course, and when you can please try to work that broadcast coverage into your stories whenever you deem it appropriate. We very much appreciate that. Thanks once again to our guests, Bob, Gary, Tony. Lots of great info today. If you have any questions about this weekend at Saratoga, feel free to contact myself or Joan Lawrence, who sets up these wonderful calls. We will both be on-site in Saratoga Springs this weekend so we’ll look forward to seeing a lot of you there.